Red soles all over the city! It must be springtime in Paris…. 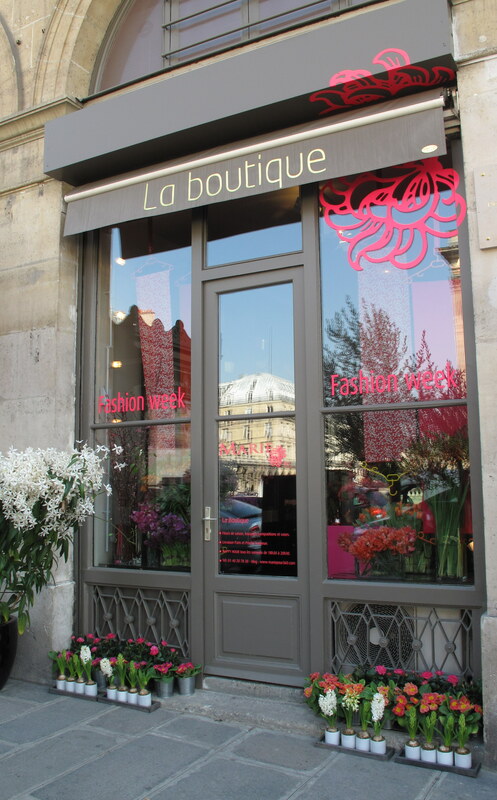 Last week we were lucky enough to spend some time in Paris during Fashion Week 2011. The sun was shining. People were smiling. And best of all, the entire city was like one big fashion show. From the people in the taxi line talking about Lady Gaga and the Mugler show, to the invitiations on the reception desk. Everywhere we turned we saw something great. The men running down into the Metro with their studded red soled Louboutin brogues, the women in their heels and coats. Even our hotel room on the banks of the Seine is a first for fashion lovers. 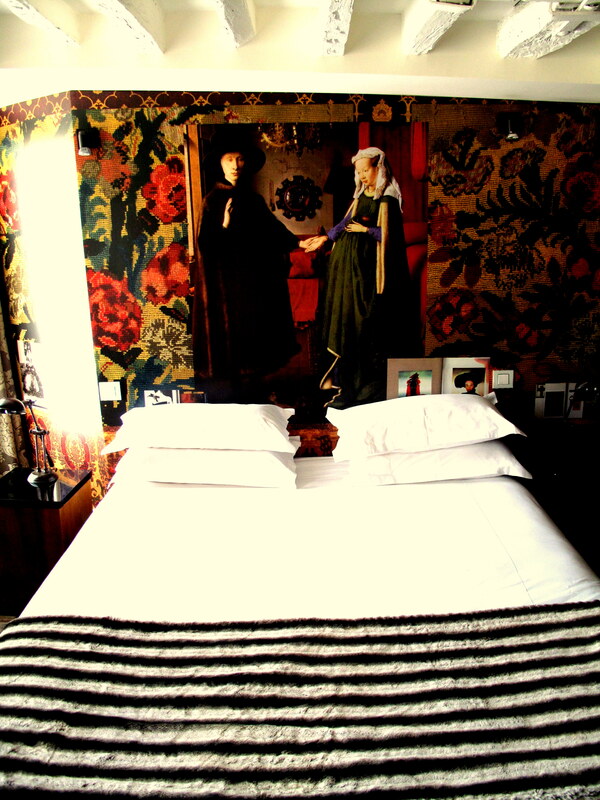 The rooms were designed by Christian Lacroix and we loved it. Like all Parisian hotels the room was small but the attention to detail in the room was fantastic – it felt like we were back in the time of Marie Antoinette if only there had been more pastries at breakfast! But we were there to shop – in the windows of course to see the new trends for spring/summer. It was like we had died and gone to shoe heaven. So many beautiful shoes that you can actually wear and walk in. We could not resist a visit to the flagship Christian Louboutin store to see the new season shoes. There were alot of new styles and colours but they still have the classic styles we all know and love. When people speak to us and see our red soled shoes they always complain about the sole coming off or ruining the heel. So we went to visit the recommended shoe repairer by Christian Louboutin to see how they fix the beautiful red soled shoes. It helps that the repairer is located directly behind the Louboutin store and the staff were lovely. 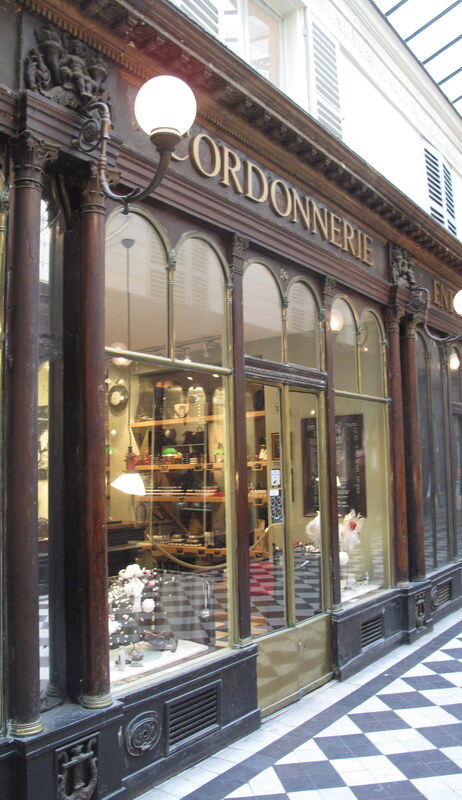 If you live in Paris this is the perfect solution (if you can actually find the repairer!) but if you don’t live in Paris then there is an issue. If you want your Louboutins repaired it will take 3 weeks to have a new rubber sole fitted and 4 weeks for any other repairs. I don’t know about you ladies, but when I buy a pair of shoes I want to wear them straight away – not wait another month until they are ready. I also don’t want to have to send my shoes to Paris to have them repaired. So if you can’t just skip off to Paris for the day and leave your beloved shoes in Paris for a month then have a look at www.saveyoursole.co.uk . We currently stock designer shoe soles for designer shoes in a range of 7 colours including red, black, cream, brown, blue, pink, white and grey with more colours to come shortly. We will also be shortly stocking more shoe care products to keep your designer shoes looking as great as the day you bought them. Now back to deciding which pair of shoes we will buy this week! Maybe these ones….